People who just started fencing are often bewildered by the rules of priority. Below is a quick summary to help you get the grasp of the idea. In the duelling times it was considered a very dangerous practice to attack your opponent while he is attacking you. This often resulted in both being killed. No winner, no satisfaction, just pure and bloody death. The ability to stop or evade the attack before hitting back was a crucial skill. To teach this, the fencing schools developed the concept of priority which meant the discourage the simultaneous attacks. It is also known as the right of way. - make a counter attack against a compound attack before its last action (e.g. your opponent is making an advance lunge attack with cut-over, feint and disengage - you hit while he's still in the cut-over phase). Priority is a very fickle lady. You think it's with you because you started attacking, but your opponent beats your blade (which equates a parry) and the priority is already with him! Now it's your turn to look for his blade trying to get the priority back. How do I start an attack (and get the priority)? 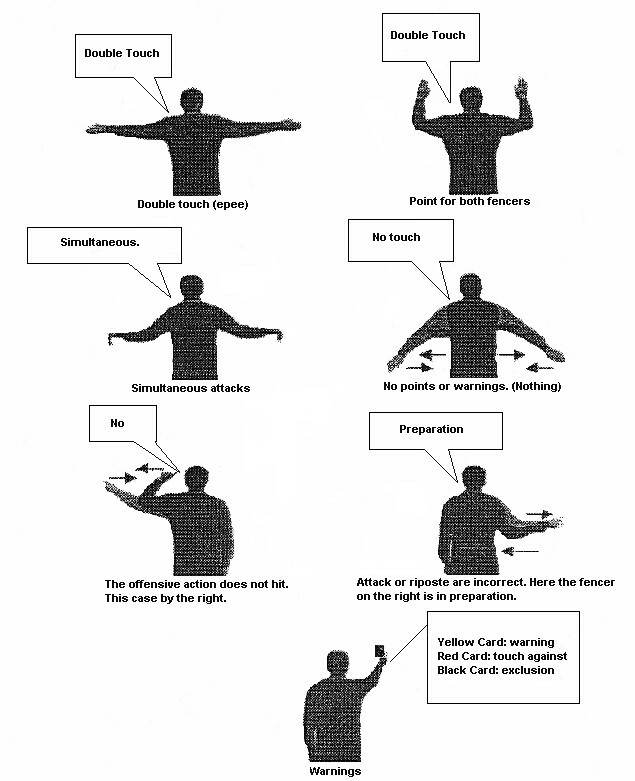 Fencing rule book (FIE) defines the attack in articles t.7 and t.56. The attack is the initial offensive action made by extending the arm and continuously threatening the opponent’s target, preceding the launching of the lunge or fleche. Simply moving towards your opponent without extending the arm and without the lunge or fleche at the end of your action will not constitute an attack. Most likely it will be seen by the referee as a preparation which doesn't give a priority. When will my attack and priority end? It will most certainly end if your blade will have been parried or if you bend your arm. And also if you miss the target, try and fail to find the blade of your opponent, interrupt your action or get hit in the middle of your compound action. How can I understand the refereeing better? Watch how other, more experienced people referee and try to understand their calls. A very useful thing to do is to watch videos from recent tournaments, where you can either hear the referee's analysis or/and see their hand signals. Try to make your own calls and see whether they match those of the referee in the video. Here is a couple of links, you can find many more yourself. t.55. The Referee alone decides as to the validity or the priority of the hit by applying the following basic rules which are the conventions applicable to foil fencing. t.56. 1. Every attack, that is every initial offensive action, which is correctly executed must be parried or completely avoided and the phrase must be continuous — that is to say, co-ordinated (cf. t.7.1). a) The simple attack, direct or indirect (cf. t.8.1), is correctly executed when the straightening of the arm, the point threatening the valid target, precedes the initiation of the lunge or the flèche. b) The compound attack (cf. 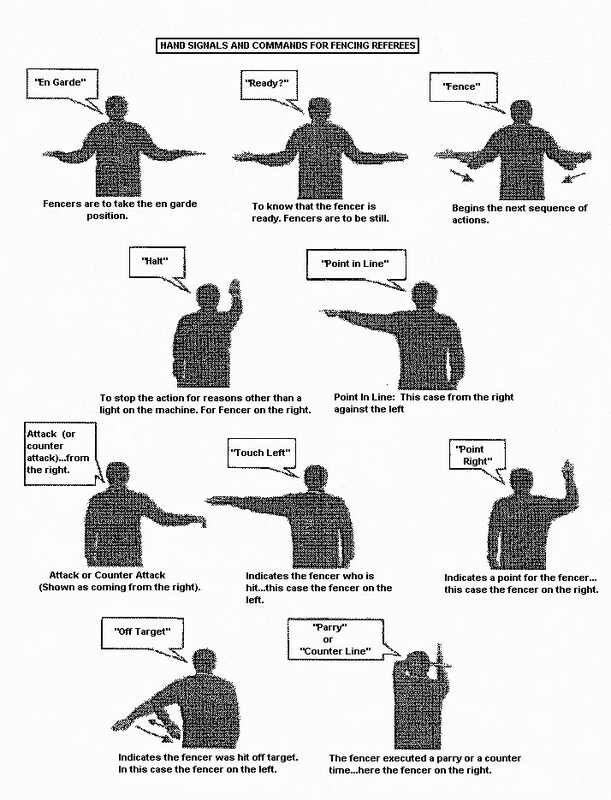 t.8.1) is correctly executed when the arm is straightened in the presentation of the first feint, with the point threatening the valid target, and the arm is not bent during the successive actions of the attack and the initiation of the lunge or the flèche. d) Actions, simple or compound, steps or feints which are executed with a bent arm, are not considered as attacks but as preparations, laying themselves open to the initiation of the offensive or defensive/offensive action of the opponent (cf. t.8.1/3). The whole pdf bundle of Technical rules in on the FIE site: http://fie.org/fie/documents/rules.